Over 45 minutes, you will discover the pioneering spirit and history behind the creation of a wine style that has since enchanted the wine world. You will taste five wines during a tutored wine tasting that will demonstrate the diversity of the regions terroir and how it shapes the Marlborough Sauvignon Blanc. Capacity: Recommended for smaller groups up to 10. Larger groups (up to 20) by prior arrangement. 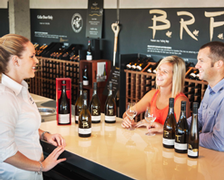 Our experienced wine hosts will guide you through an educational tasting of our premium Brancott Estate wines, including cellar door exclusive wines, and new and exciting styles. 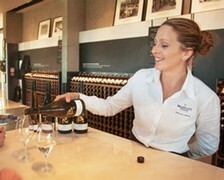 Each tour takes place in a private setting where guests experience the informative tasting with their own private tutor. Capacity: 2-20 guests per experience. Working in harmony with nature not only ensures the sustainability of our wine making, but of the land itself and the life upon it. 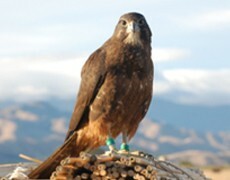 You will discover how our wines are created with the natural environment in mind and have the opportunity to view a rare native New Zealand Falcon. Capacity: 2 - 25 guests per experience November to March (or by prior arrangement). Take the unique opportunity to have your photo taken with the Falcon, available for purchase on departure ($8 per photo). What better way to discover the home of Brancott Estate wines than by bike! Starting at the Brancott Estate Heritage Centre, you’ll cycle through the renowned Brancott vineyard, personally lead by an informative and educational guide. This is a unique opportunity to learn about the viticulture process that goes into the making of Brancott Estate wines, as well as the chance to taste a selection of premium Brancott Estate wines amongst the vines. Enrich your senses on the Brancott Estate Vineyard Bike Tour. 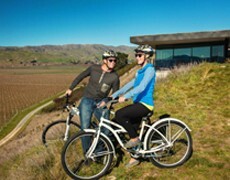 Private Brancott Estate Vineyard Bike Tour is available on request. Bikes and helmets are provided. Please wear appropriate clothing and covered footwear.